Active adult communities in the Richmond, VA area can be found throughout Quinton, Glen Allen, Mechanicsville, Chesterfield, Moseley, and Richmond. 55+ communities in the Richmond area offer a charming tight-knit neighborhood feeling. Those looking for low-maintenance home options away from the hustle and bustle of D.C. enjoy the Richmond area. As the state capital, there is always something to learn while living in a Richmond area active retirement community. It s rich in history, architecture, and cultural opportunities. The Richmond area has a humid subtropical climate where the summers are hot and humid and the winters are mild. There are many counties, independent cities, and unincorporated towns and communities included in the Richmond metropolitan area. Noteworthy bodies of water include the James River, Appomattox River, and Chickahominy River. Situated in Central Virginia, the Richmond area is located where the Piedmont and coastal plains meet on the James and Appomattox Rivers. It is characterized by low, rolling hills and lies between the Tidewater region and Blue Ridge Mountains. With over 400 years of American heritage, the Richmond area is home to America s first hospital and canal system, Civil War Battlefields, and Patrick Henry s famous Give me liberty or give me death speech. Historic landmarks include Cedar Hill and Armour House, Curles Neck Plantation Dabbs House, Dorey Barn, Gravel Hill, and the Osbourne Schoolhouse. Carytown, a popular area, includes over 250 shops, restaurants, and historic buildings. Residents of 55+ communities near Richmond are also conveniently close to both Richmond International and Chesterfield County Airports. You never have to travel far to experience cultural attractions as this area includes a symphony, ballet, orchestra, theaters, and art galleries. The University of Richmond incorporates an Osher Lifelong Learning Institute for those who want to continue their education. Recreation throughout the Richmond area include more than 20 golf courses, NASCAR races, and more than 100 parks that include neighborhood playgrounds to state nature preserves. 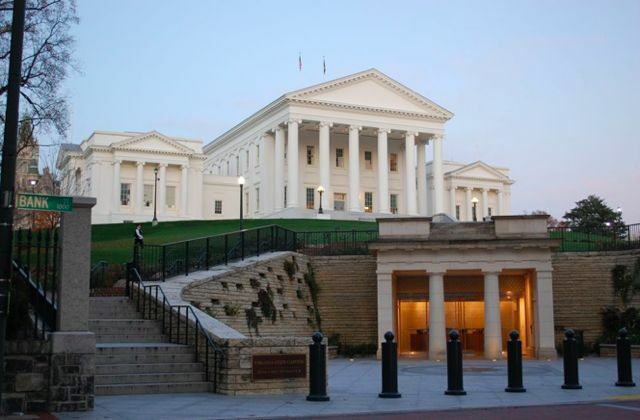 The cost of living index for the state of Virginia is 4% less than the national average. Additionally, the cost of living in a Richmond active adult community is 1.3% less than the state of Virginia. However on average, the index for goods, services, groceries, healthcare, transportation and utilities are higher than the national average. Richmond s cost of housing index is lower than both Virginia and the nation s average. There are 21 hospitals listed in the Richmond VA metropolitan area. Adult communities will appreciate living within close distance to two top-ranking hospitals. Virginia Commonwealth University Medical Center has been both nationally ranked and recognized for high performance. Bon Secours St. Mary s Hospital is another high-performing hospital in the area.